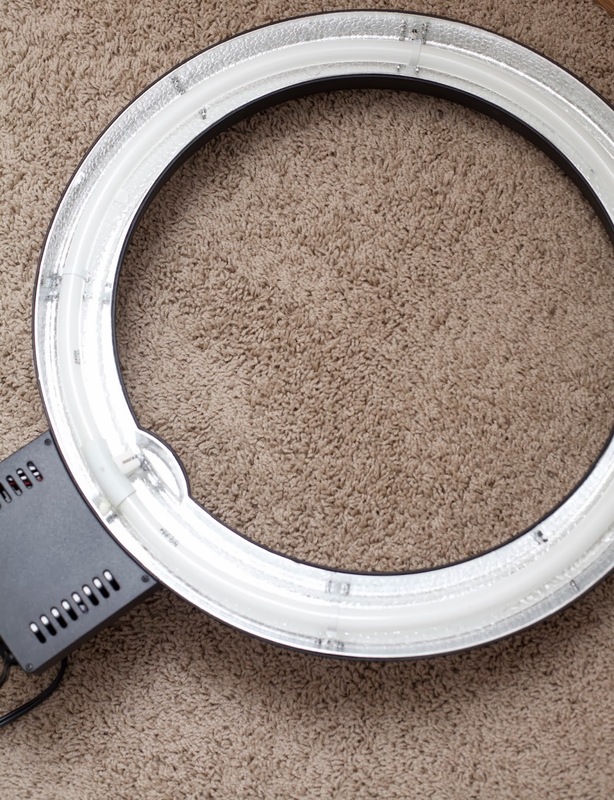 This was a recent purchase from Amazon.ca, it's called the 65W ring light. This has been a substitute from my softbox that I currently decided to leave it in the studio and use the ring light as it's easier to carry around. This is well suited for product shots and portraits especially if you like that light circle in your eyes. Another lighting that I use is the Lumahawk LD 312A On-Camera LED Light from Henry's Photo. 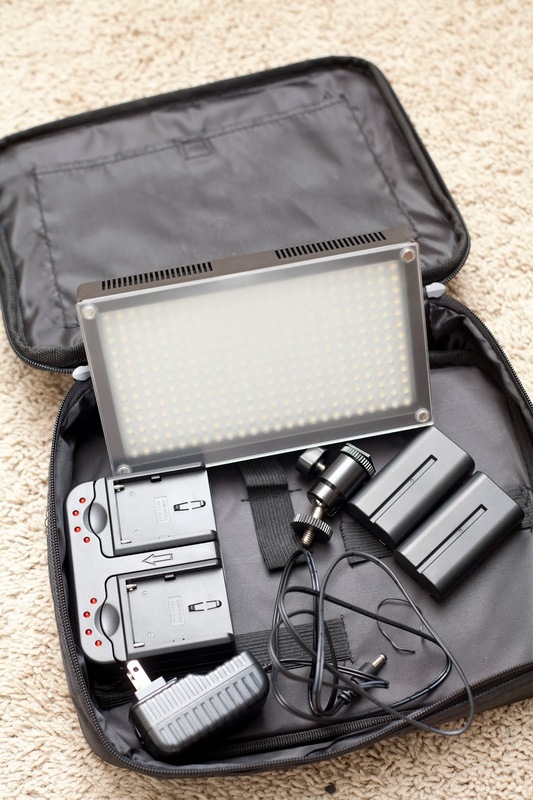 This is what I use to travel with if I need additional lighting in a small space. It's quite small that it can fit in my bag or just to carry around. Both lights gives a flattering effect and creates a shadow-free lighting. It's also ideal for small spaces.